Relationship: Bought bathroom panels from them. I was looking for a beautiful solution for the walls in my new walk in shower. 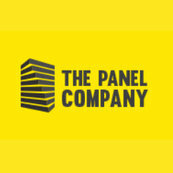 I came across The Panel Company and ended up using their panels in 3 other rooms! Amazingly simple to fit, can clad a whole wall in a morning and so much cheaper than tiles. Staff at The Panel Company were very patient with me and helped me alot. I can not praise these guys enough!